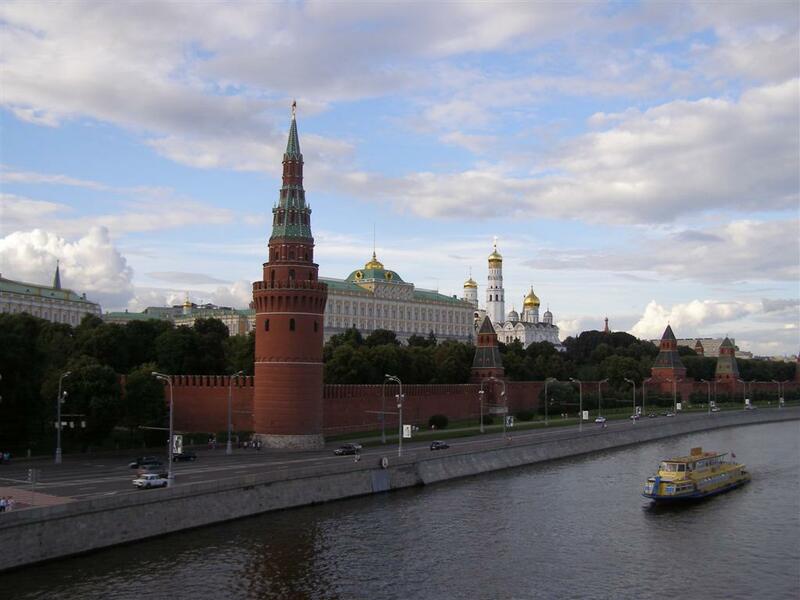 Discover the “Three Capitals of Russia. That is the best way to explore this fascinating and enigmatic country on your bike. It is an easy tour; even beginners can afford the daily mileage. 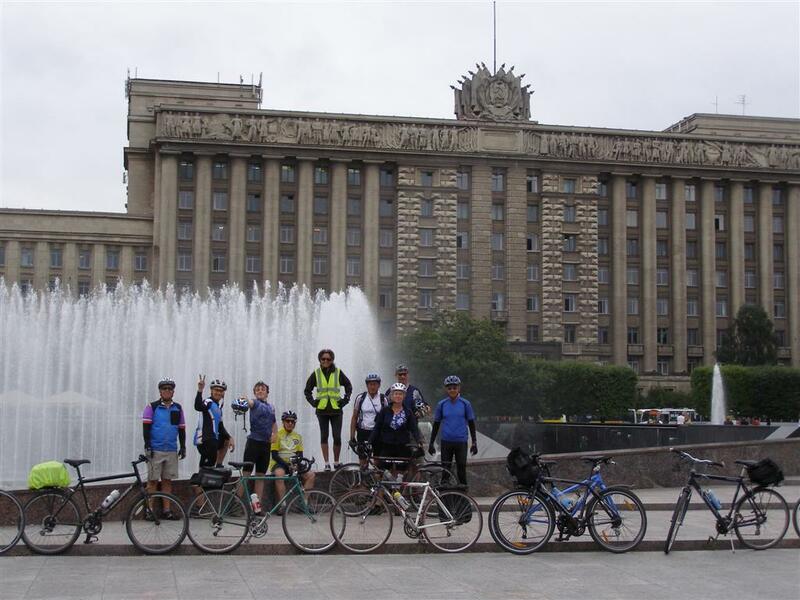 The cycling route goes from Moscow ''The modern Russian capital'', to the old one Sint Petersburg ''The north capital of Russia''. 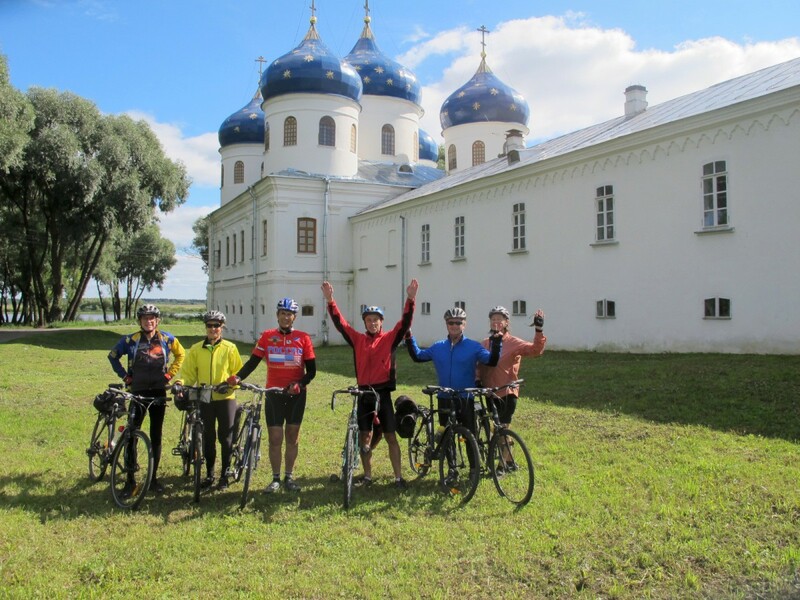 Guided cycling Trip Moscow to Sint Petersburg 2019. Discover the “Three Capitals of Russia. That is the best way to explore this fascinating and enigmatic country on your bike. It is an easy tour; even beginners can afford the daily mileage. 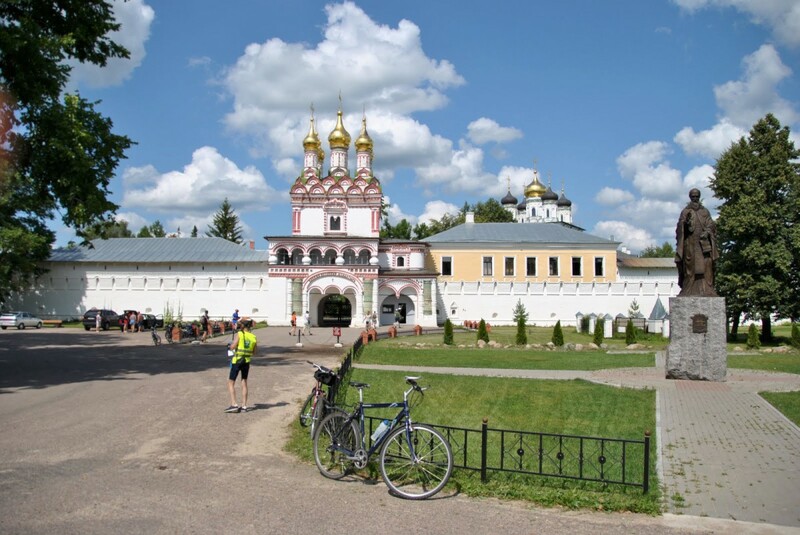 The cycling route goes from Moscow also known as ”The modern Russian capital”, to the old one Sint Petersburg through the oldest one Novgorod the Great. You’ll be charmed by the spirit of olden times in Torzhok, Staraya Russa or Valday. You’ll pass Russian pearls, like Valday especially famous because of the bell museum and the Iversky monastery. In Staraya Russa you’ll visit the museum of Fyodor Dostoyevsky, who wrote there his novels The Brothers Karamazov and The Possessed. The stunning Russian nature over the woody Valdai hills, where the Great Russian Volga river starts In Novgorod you’ll see its ancient Kremlin, magnificent Sint Sofia Cathedral and wonderful Russian Millennium Memorial. Furthermore You’ll be surprised with the luxurious beauty of grand palaces and parks, built for Russian Tsars in Sint Petersburg. After the tour you can return to Moscow by comfortable night train or stay longer in Sint Petersburg also known as ”The north capital of Russia”. Sint Petersburg, is one of the most breathtaking cities on earth with baroque bridges. Arrival in Moscow (no cycling). You will be met at the airport by a guide and taken to the hotel. The hotel is located in the east part of Moscow next to the biggest Moscow park and 5 minutes walk from underground station. It takes 15 minutes by metro to get to the Red Square. After short briefing and buffet dinner you will go for a walk in the center of Moscow. 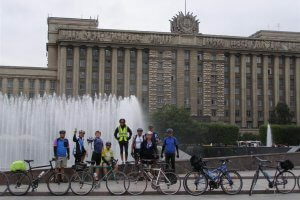 You start with a bicycle tour of Moscow along rivers from the hotel to the Victory Park. You will pass the Kremlin, the Gorky Park, Vorob’evy hills with a view point of Moscow. 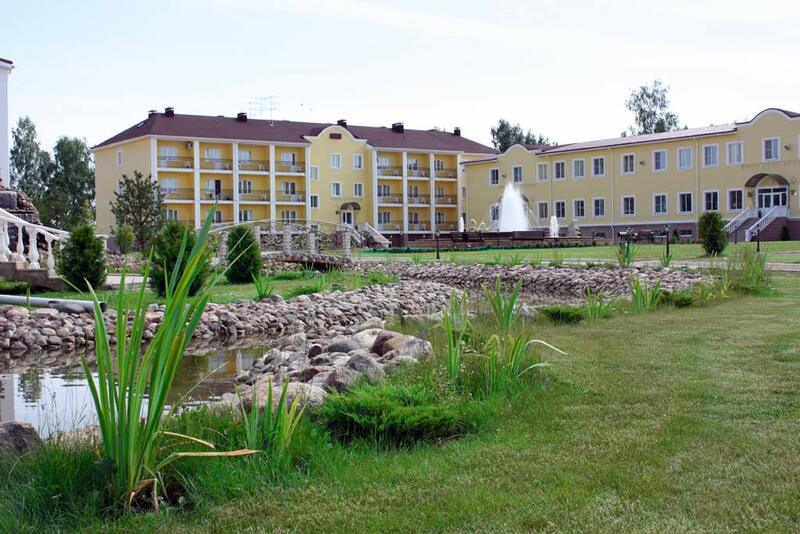 After a lunch you will take a bus to Volga (250 km) where you stay for a night in a charming resort hotel. A swimming pool and the beautiful Volga, the longest European river, are waiting for you. 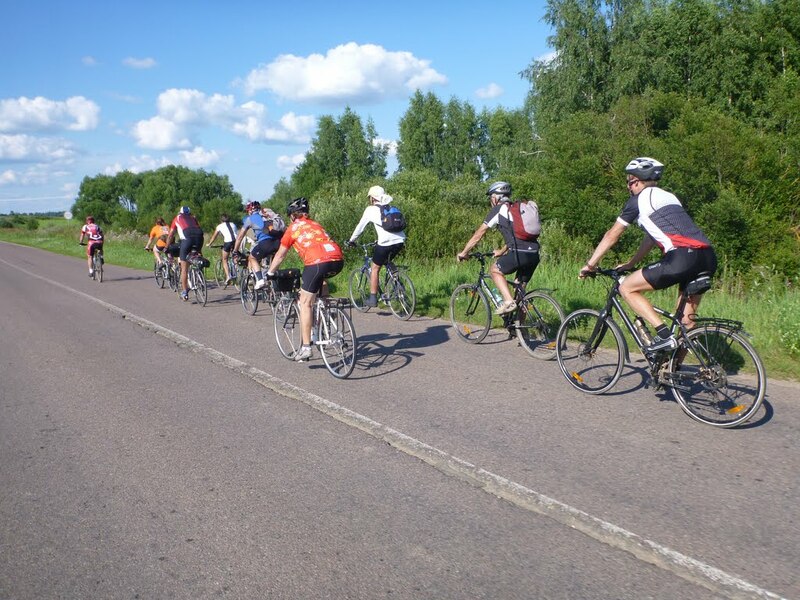 Start cycling your way to Torzhok. The roads are almost traffic free and twists through a nice forest. On your way you will stop near the house-museum of famous Russian opera singer Sergey Lemeshev before you arrive in Torzhok – an old Russian town, famous for its unique architecture and folk craft of gold work embroidery. Chicken cutlets (called Pozharskie) invented here. Great Russian poet Alexander Pushkin used to eat them here. Later you will have a master class of cooking them. Morning transfer to lake Seliger ( 140km). Lake Seliger is situated within a picturesque landscape of forests and hills. The lake is a protected nature reserve and is sometimes known as the "European Baikal" due to the diversity of its unique flora and fauna, similar to Lake Baikal. After visiting Saint Nil monastery. 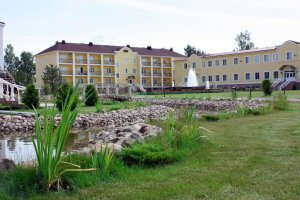 Overnight in the hotel near to lake Seliger. Russian steam bath is available. Early bus transfer to Novy Brod ( 150km). From here you cycle to Staraya Russa. Staraya Russa is old provincial town famous for a balneological (spa) resort and Fedor Dostoevsky museum. (Fyodor Dostoevsky used to live in Staraya Russa from 1872 till his death in 1881. He wrote here his novels The Brothers Karamazov and The Possessed.) You stay in the hotel which is a part of old spa resort. After visiting Dostoevsky museum there is a short bus transfer to Borki (75 km) from where you cycle a scenic road along lake Ilmen to Veliky Novgorod (35 km). On your way you stop in Ur’evo to see the oldest Russian monastery and the open-air museum of wooden architecture "Vitoslavitsy". Veliky Novgorod is one of the oldest Russian cities supposed to be the most influential in that time which gives us grounds to call it the first capital of Russia. 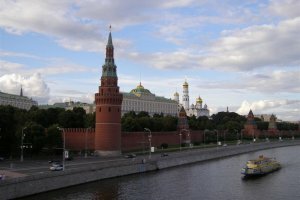 The center of the city including outstanding Kremlin is World Heritage Site. We stay in a hotel next to the Kremlin. 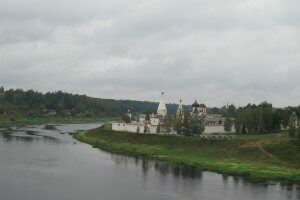 City-tour in Novgorod with a local guide. 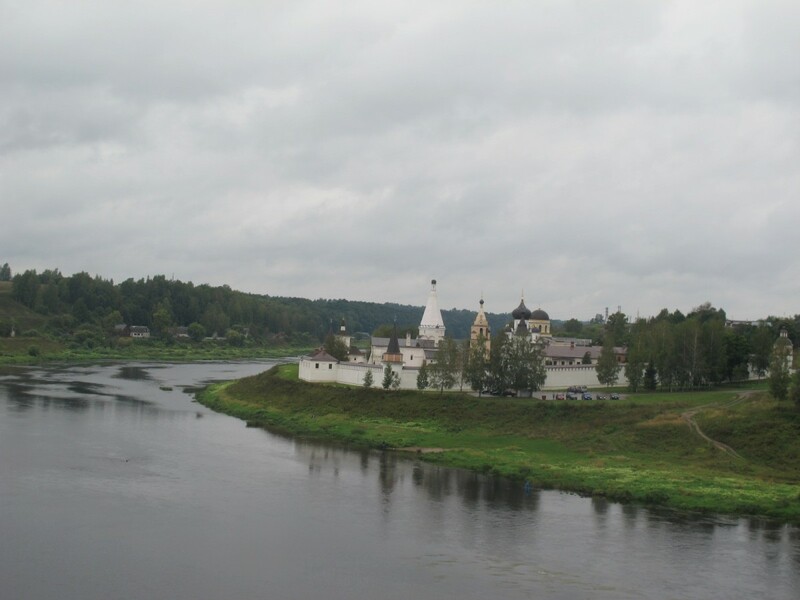 You start in Novgorod and cycle to Selistchi along the Volkhov river on quiet country side roads. You will finish near the ruins of Arakcheev barracks . From here you will be taken by bus to St. Petersburg (150 km). Night bicycle tour in the White Nights tour. City tour with a local guide in St. Petersburg including Metro, Nevsky prospect, downtown, Hermitage. Farewell dinner. Departure day…..Time to say goodbye, a good flight back home or a pleasant stay in Sint Petersburg. Russians main airport in Moscow is Sheremetyevo airport.There are many flights: for example to/from Europe. Another important airport in Moscow are Domodevo and Vnukovo. The airport of Sint Petersburg is a very important International airport. There are also flights to/from Europe.